The first website ever launched was in 1991. Forward to 2017, and now there are over 1 Billion indexed websites worldwide along with over 3 Billion internet users, which is expected to double to 6 Billion by 2021. ​The internet revolution has sparked the beginning of a new asset class - digital properties. Digital properties are highly profitable as they exhibit very lucrative characteristics such as - significantly low overhead, strong scalability and large variety of revenue sources. 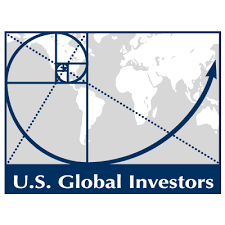 Digital Assets International (“DAI”) is an alternative investment vehicle that strategically acquires and manages a global portfolio of profitable websites (PW).We bring a best-in-class group of investors and together, offer a wealth of experience, knowledge and investment capability. Together, we will work closely with you to craft a customized deal to meet your objectives. Together, we are committed to long-term growth and to carrying on your legacy. We are committed to acquiring or investing in digital assets across North America, operating them via active management and growing them with the support of best-in-class Board of Directors. Our goal is to facilitate an appealing exit option for you, the Entrepreneur. We will work closely with you to structure a deal that is tailored to achieve your specific needs while ensuring a seamless transition that minimizes distractions and maintains continuity for all parties. We will assume daily operational responsibilities in the businesses we acquire or invest in. Our hands on approach demonstrates our dedication to building a prosperous portfolio of companies for the long-term. We focus on long-term growth as we immerse ourselves in daily operations and foster mutually rewarding relationships for the organization’s operators, customers, employees, investors, and broader community. We are highly sensitive to the relationships binding all these parties and recognize each transaction is distinctive and involves many non-financial concerns. Our team has a significant amount of experience navigating these issues that exists in the digital property acquisition space. We offer a better alternative to the lack of traditional opportunities currently presented in the digital properties space, while working on a strictly confidential basis to address your unique needs. Background: Bryan sold his e-commerce business to DAI to work on a new project. Given DAI’s flexible deal terms - he was able to get a big payday and retain a small equity portion in the business. Background: Andrew sold a portion of his online business to fund his ambitious growth plans. He is now part of DAI’s growing management team of experienced online business operators and has continued to grow his business working with DAI. Why Sell Your Digital Asset to Us? Medium-Low. We hold a number of smaller investments (<$5M), which diversifies our return. KES VII Capital (“KES VII”) is a “hybrid” merchant bank that targets bespoke investments for both its own capital and that of its funding partners. In addition to creating and/or finding high-quality, high-growth, private companies, KES VII has an active advisory business and a trading operation that provides liquidity for private company securities. In March, 2015, KES VII opened an office in Montreal and extended our investment focus to life sciences and innovative technologies through the creation of the Healthcare and Technology Group (“HaT” Group). Copyright text 2017 by .